Cradlepoint NetCloud Engine provides a streamlined process to deploy cloud-based networks in minutes to connect people, places, and things anywhere. You can make the public Internet your private network without giving up visibility, security, and control. 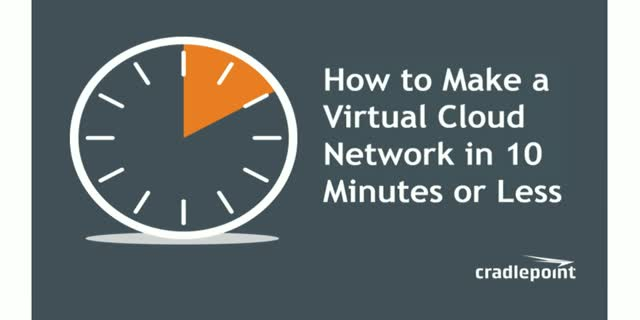 At 9 a.m. PST / 12 p.m. EST on Jan. 12, 2017, join Cradlepoint Global Solutions Architect Roger Billings and CFO Val Heusinkveld to watch exactly how easy it is to set up a Virtual Cloud Network in 10 minutes or less.